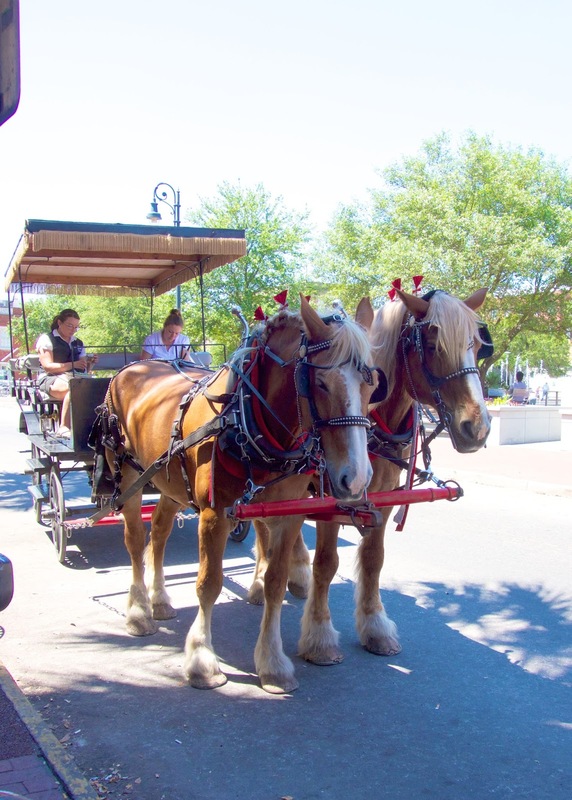 We stopped in Savannah on our way down to St. Augustine, FL. We haven't been to Savannah in a few years. It is one of our favorite cities. 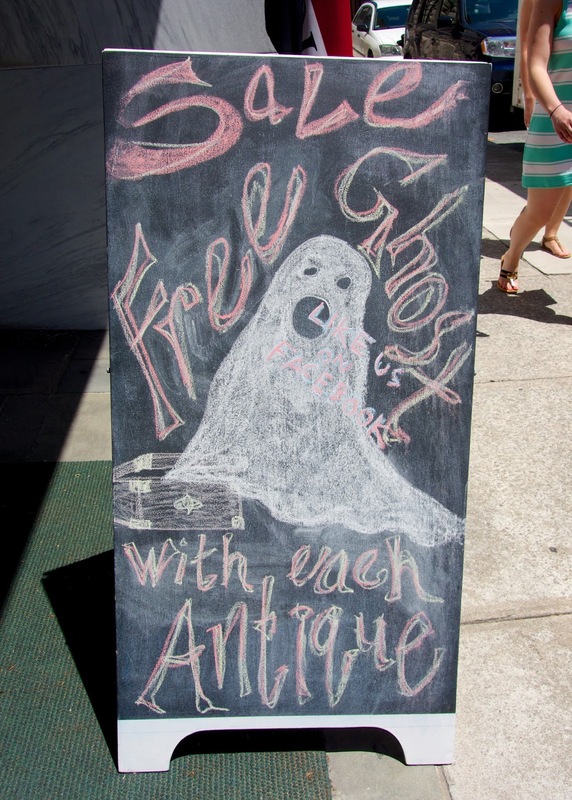 The food, the drinks, the architecture, and the cemeteries - we love them. 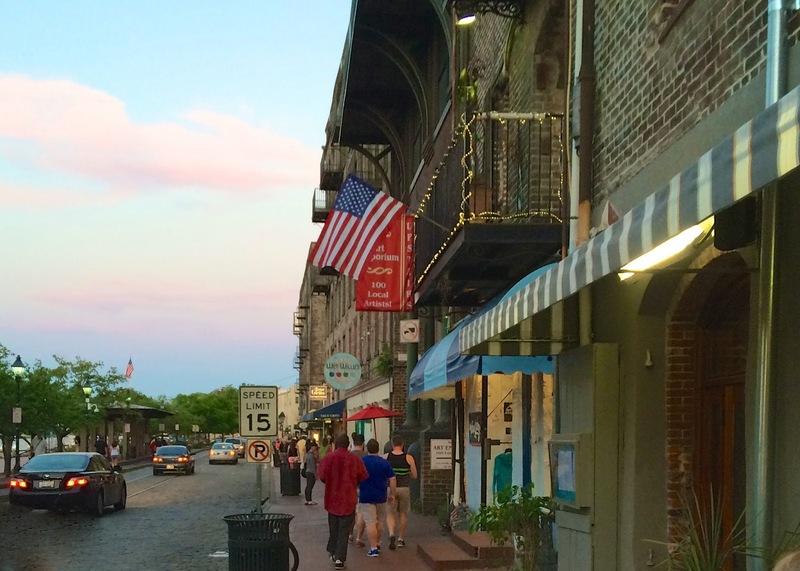 We only had about 24 hours in Savannah, so we did our best to hit up a lot of places. 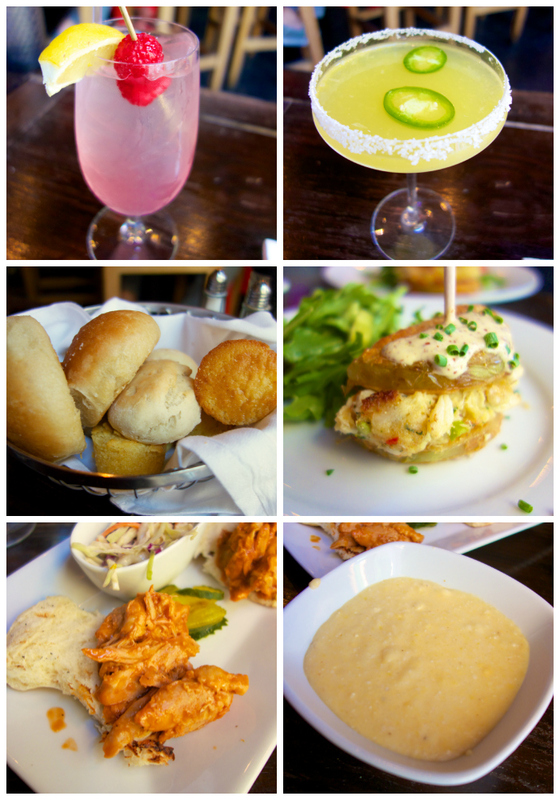 We ate and drank our way all around town! 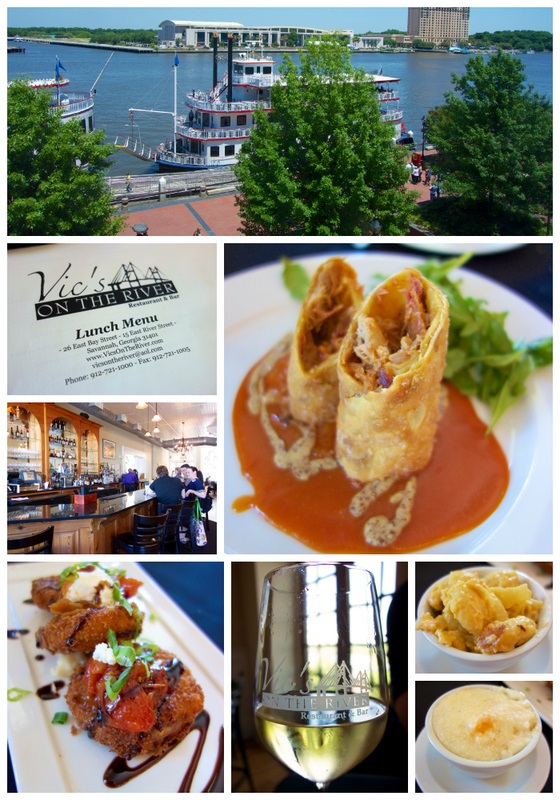 Vic's on the River was our first stop when we got into town. We ate in the bar. We had BBQ Egg Rolls, Fried Green Tomatoes, Mac and Cheese and Cheese Grits. The BBQ Egg Rolls were SOOOO good! I am still thinking about them! 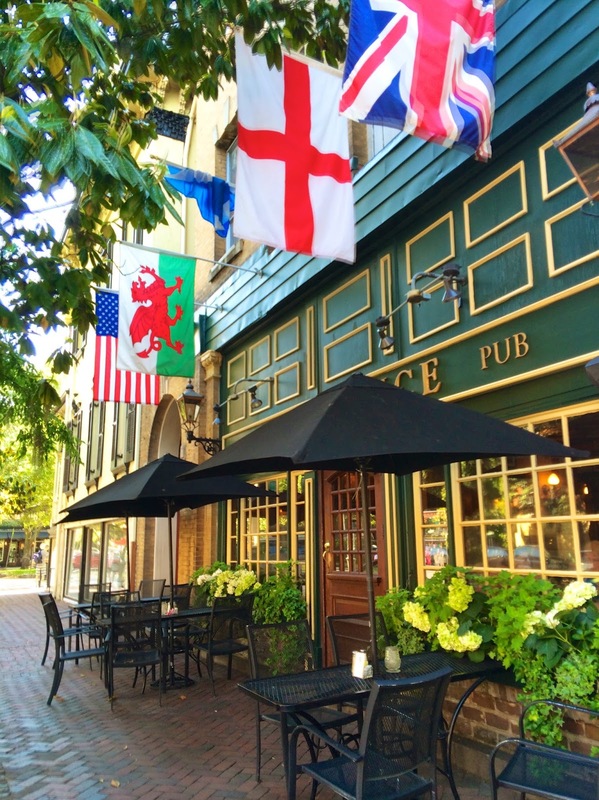 Molly MacPherson's is a Scottish Pub and Grill. We stopped in for a pint. 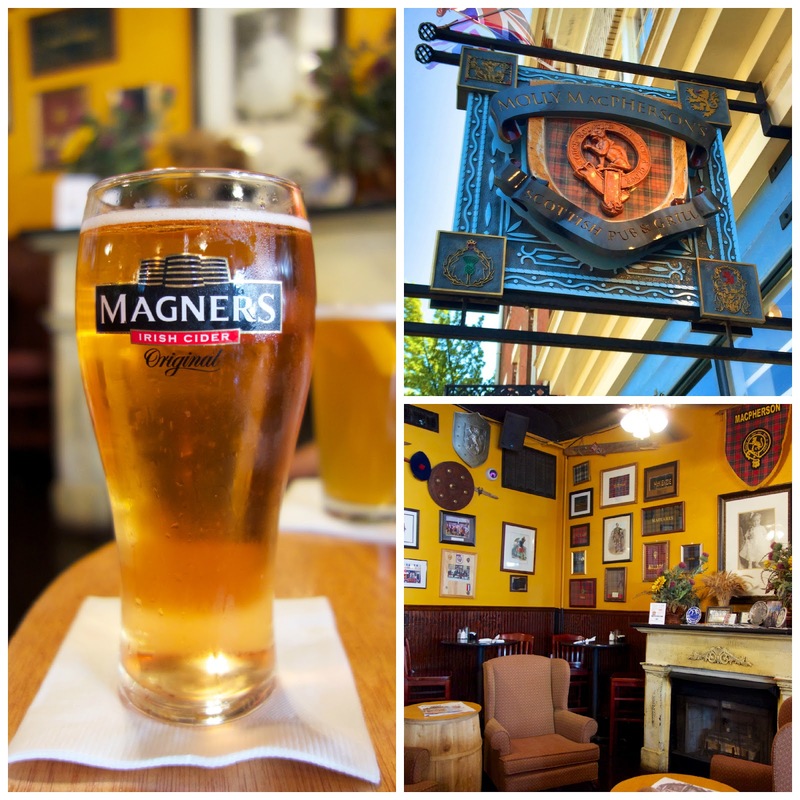 I got the Magners Irish Cider - yum! 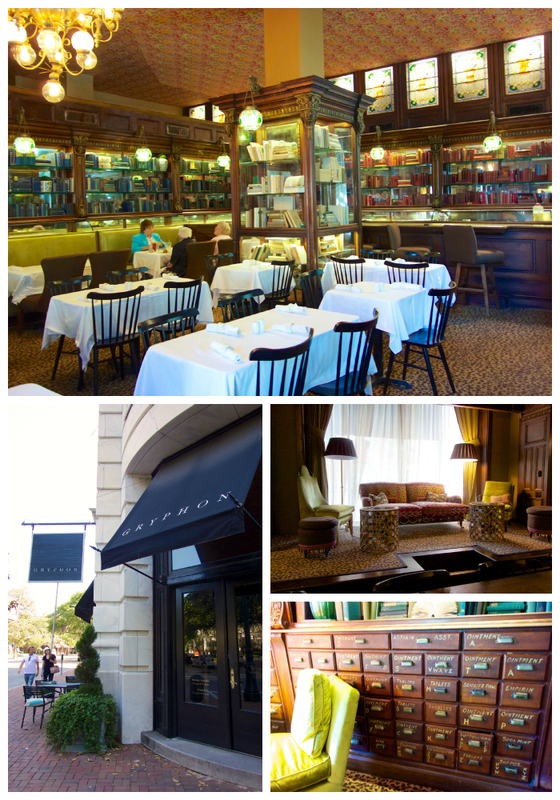 We didn't eat at Gryphon, but we wanted to see the interior. It is an old pharmacy. They kept the stained glass windows and drawers from the original business. It is a really neat cafe. They have soups, salads, sandwiches and desserts. It is on our list for our next visit. We sat at the bar and did a mini beer tasting with the bartender. She let us sample some of the beers on tap. We loved all the beer mugs that were shaped like historical Brits. We ordered a couple of appetizers - Nachos and Welch Rarebit (beer cheese). 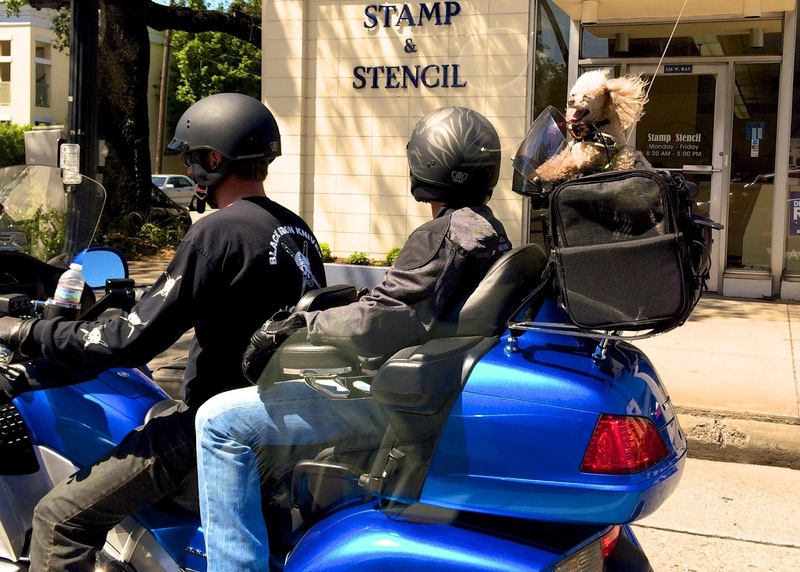 This dog is in heaven! Notice his goggles. 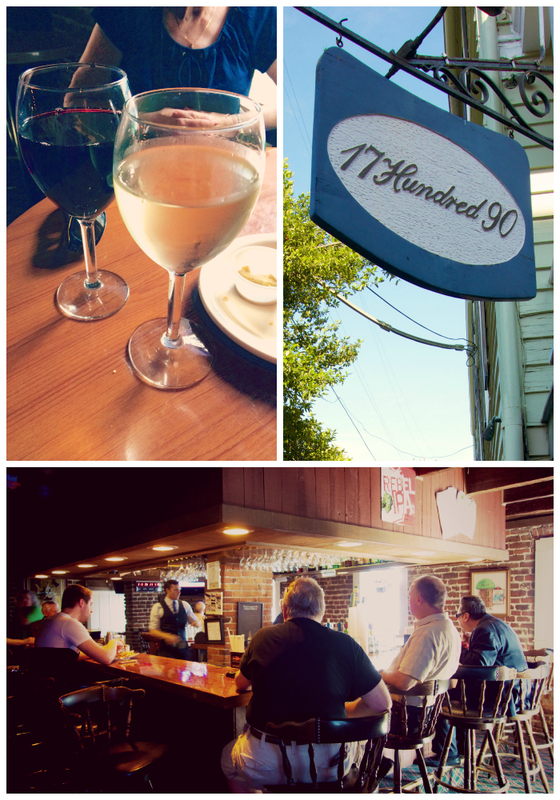 17 Hundred 90 is our favorite drinking hole in Savannah. They give generous pours and it isn't expensive. Our two favorite things! They have a restaurant, but I haven't eaten at it. The building was built back in 1888 and was previously a funeral home. I bet it is haunted! The hotel offers cooking classes - I definitely want to check those out next time. 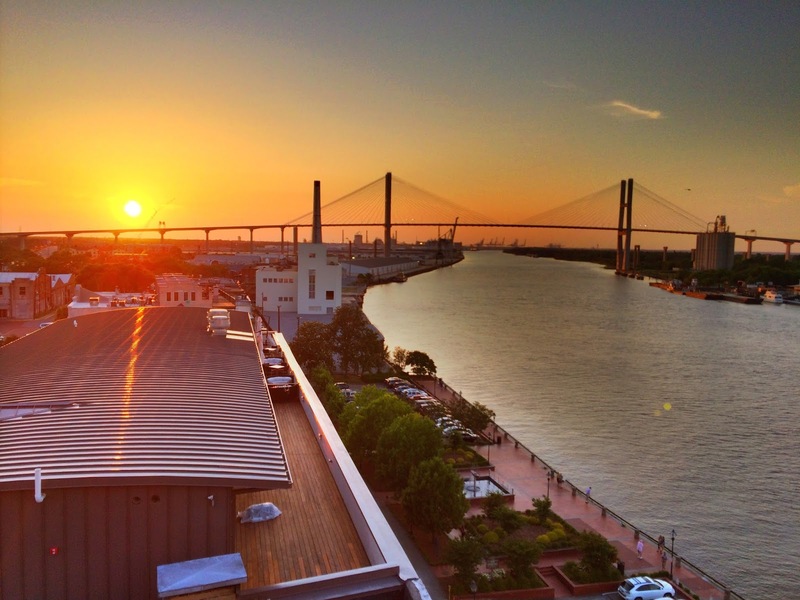 The Rooftop Bar at the top of the Bohemian hotel on the river is the perfect spot to watch the sunset. Can't miss the Mercer House of Midnight in the Garden of Good and Evil fame. Another Midnight in the Garden of Good and Evil celebrity. 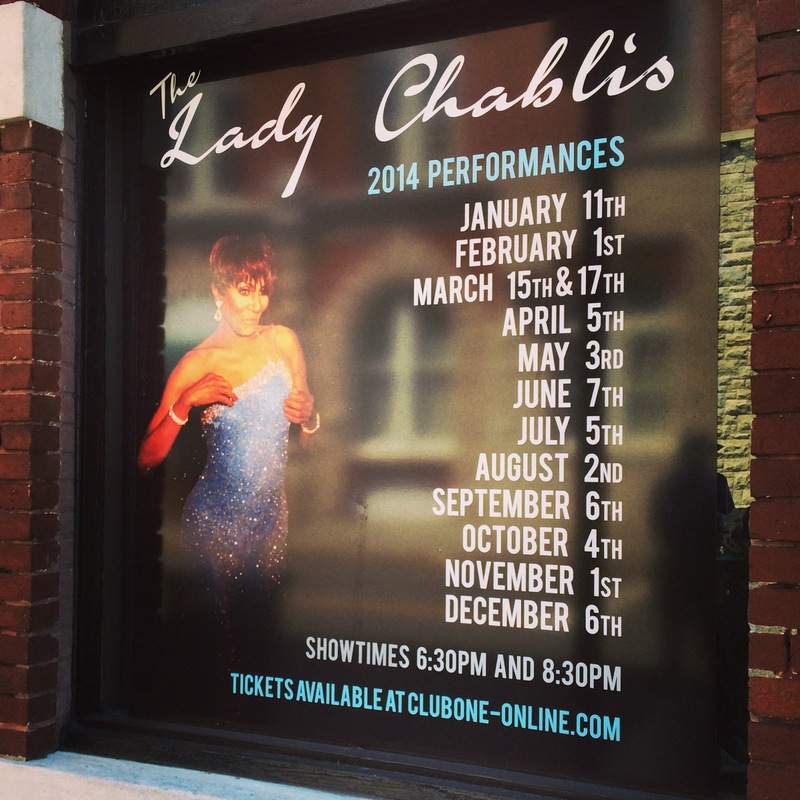 I am going to make Chicken Legs go to her show. I bet it is spectacular! We had dinner at one of our favorite spots - The Olde Pink House. I got a "Pink Lady" (lemonade and raspberry vodka). Chicken Legs got a jalapeño margarita. The bread basket was SO good! I could have made a meal out of it. Since we had eaten at several spots already, we opted for some appetizers and cheese grits. We got the BBQ Chicken Sliders and Crab Cakes. Both were great, and the cheese grits were crazy good! 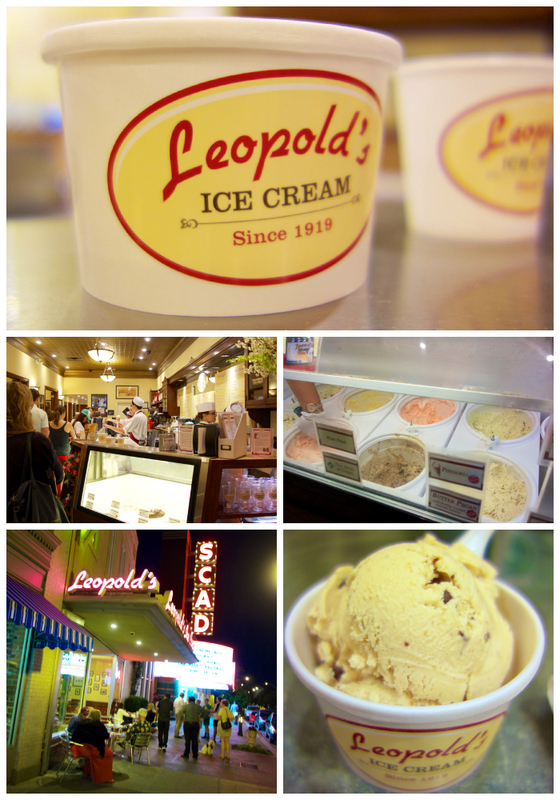 No trip to Savannah is complete without stopping at Leopold's for ice cream. All of the ice cream flavors are made on site. I went with the peanut butter chippy. Next time I am adding chocolate sauce on top. YUM! Clary's is mentioned in the book Midnight in the Garden of Good and Evil. Clary's is our usual breakfast spot. It isn't a fancy place. They have the usual diner fare. It is all delicious. The potatoes were my favorite. This is the cutest bakery! I love how it is decorated. Feels very retro. We drove over here after breakfast. 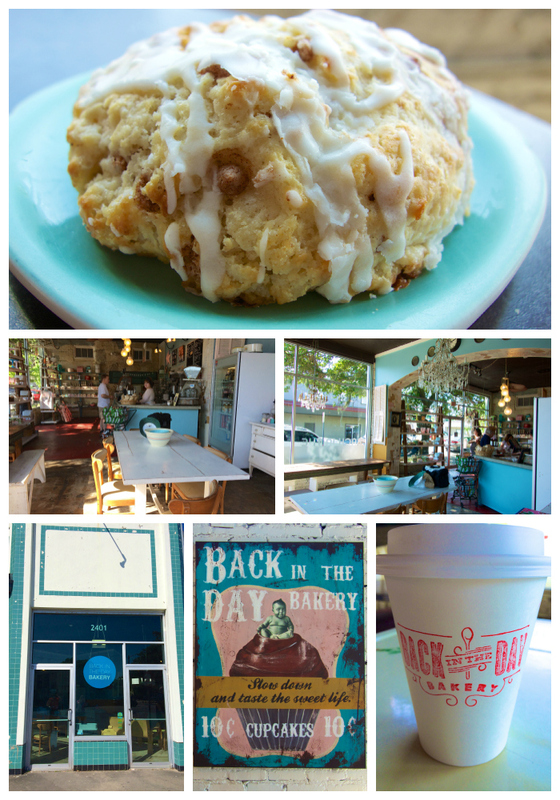 I indulged in a Cinnamon Biscone. O-M-G! SOOO good! 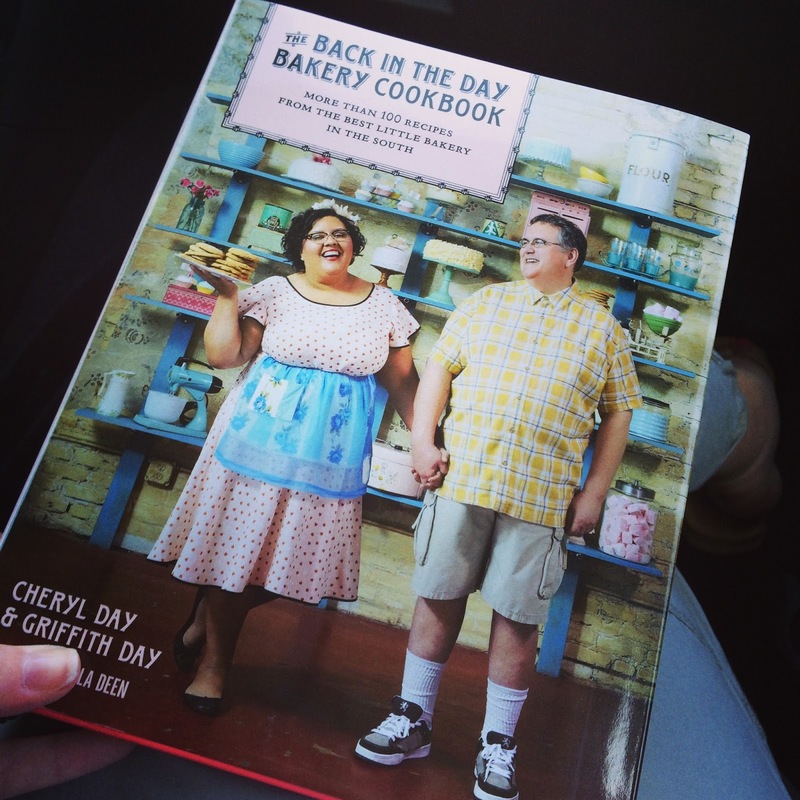 I bought the cookbook. The biscone recipe is in here. Can't wait to try it! We walked past this macaron shop the night before. We made a quick stop on our way out of town. I bought Vanilla, Key Lime, Bourbon Pecan, Snickers, Salted Caramel and Hazelnut. They were SO good. I couldn't pick a favorite. They were all too good. 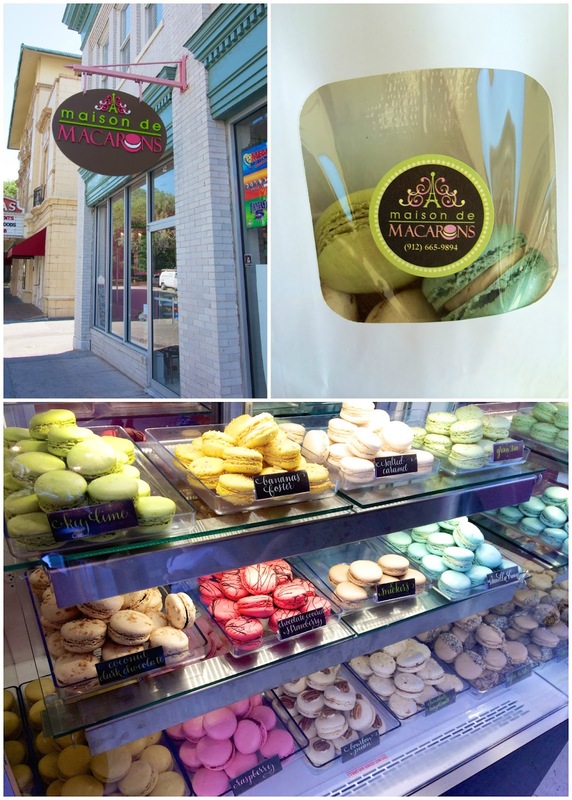 They ship their macarons - I will be buying some soon! 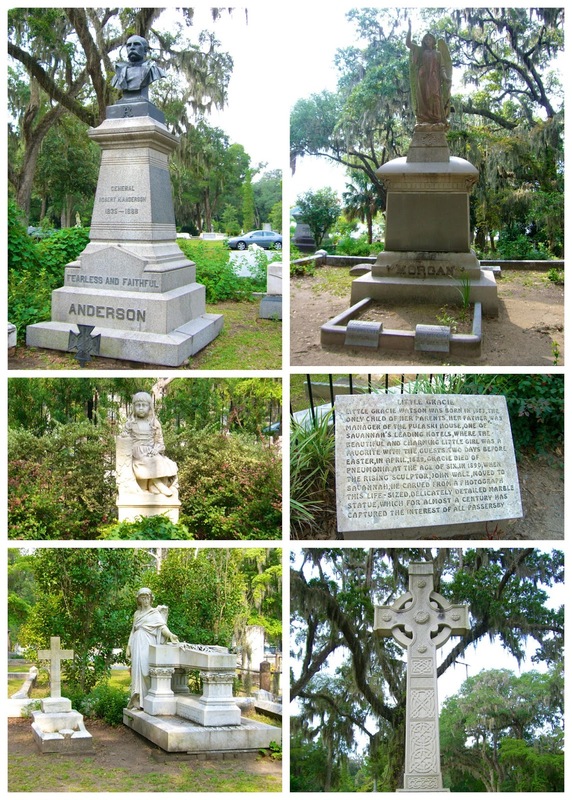 No trip to Savannah is complete without visiting a cemetery. 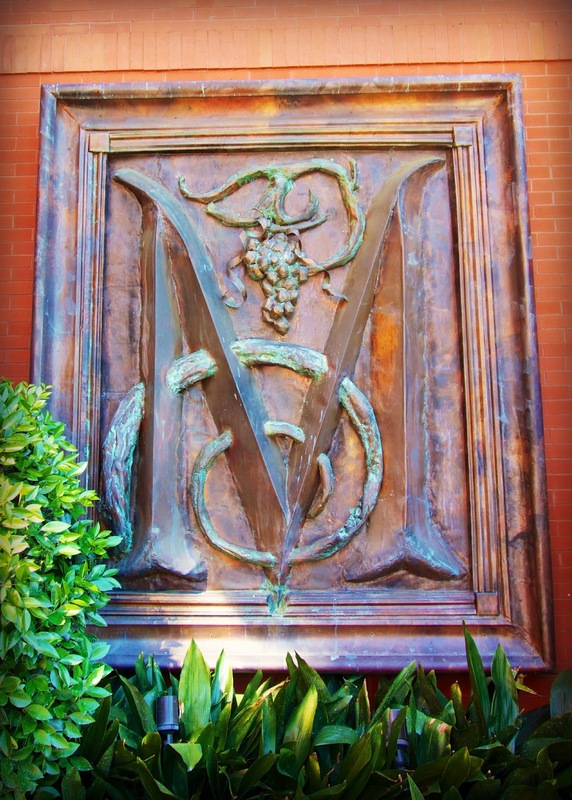 Bonaventure is where "bird girl" was from Midnight in the Garden of Good and Evil. The statue has been relocated to the Telfair Museum of Art downtown, but there are plenty of other impressive burial statues. We are already planning on when to go back. Vinnie Van Go Go's Pizza is at the top of the list. Where should we go next time? 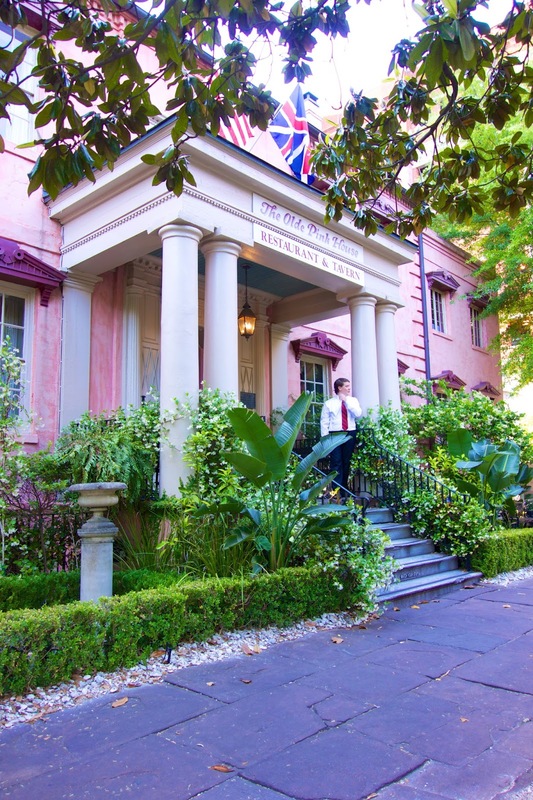 You should check out The Pirate's House restaurant in downtown Savannah. 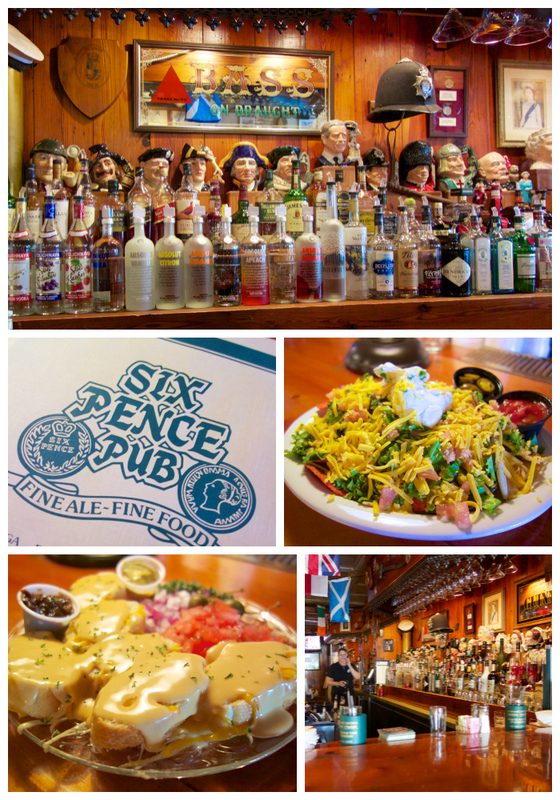 The story behind the place is so interesting, and the food is wonderful! Also, not sure how you are about ghostly things, but if you guys are there over night, I highly recommend a ghost tour with Blue Orb tours. So much fun! I actually have a picture of a ghost that I caught with my trusty iPhone at the 432 Abercorn House. SO creepy! Mrs. Wilke's is our favorite. It's not fancy, it's not "foodie" but still ranks as one of the best meals we've ever had. Love your photos! I haven't been to Savannah in years.So long intact, I can't remember where we ate on Riverwalk. 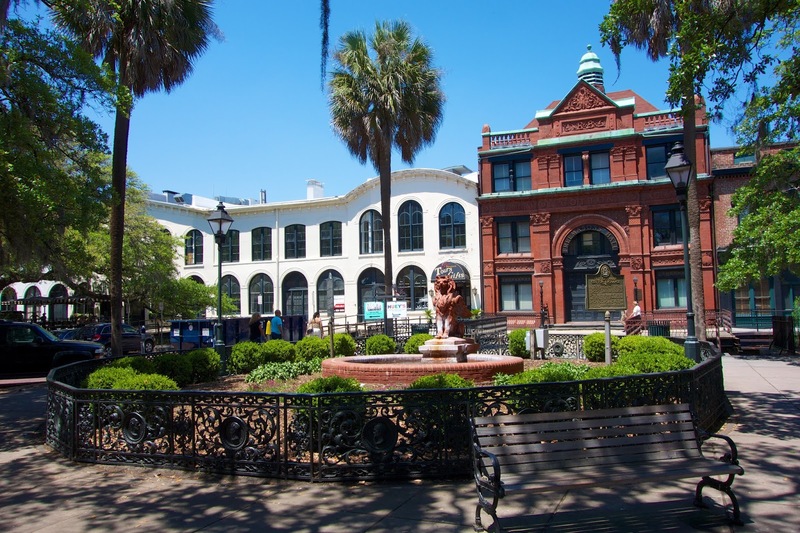 Its a really pretty city - a smaller, less crowded version of my hometown (Charleston, SC). I would love to visit again so thanks for the referrals! (((sigh))) Mac auto correct (in fact - not intact). 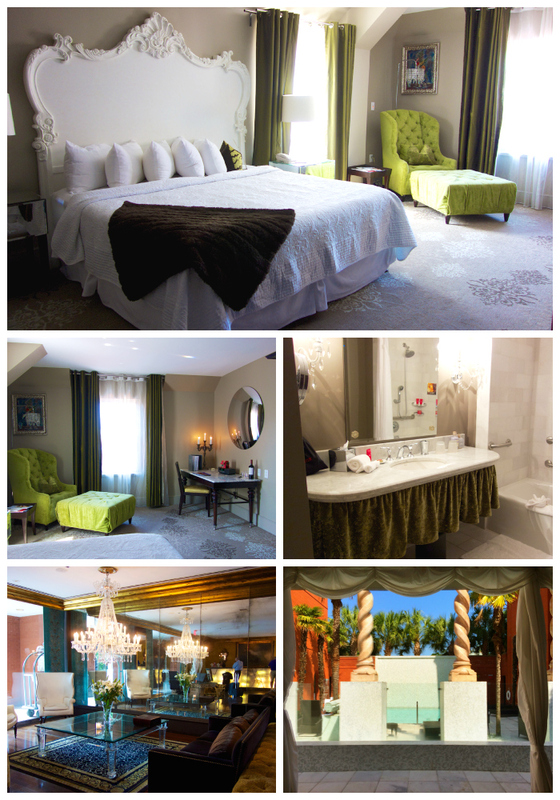 Thank you so much for this wonderful travelogue post! 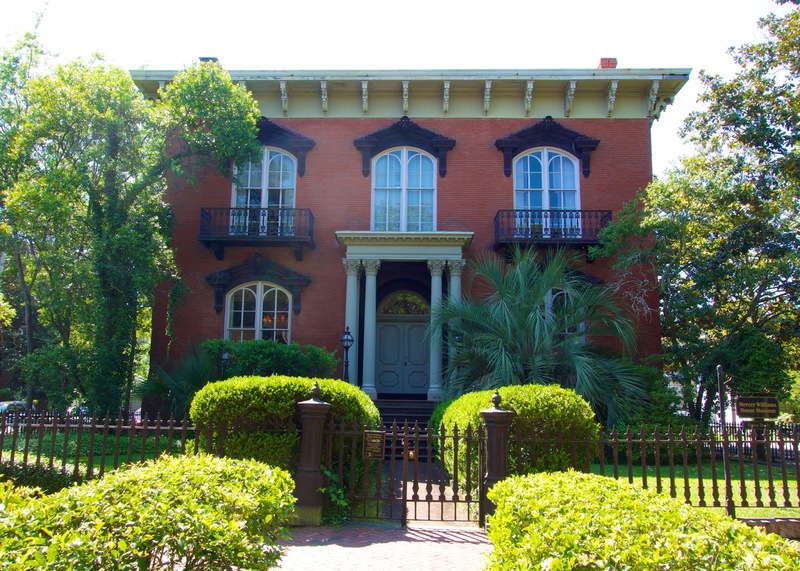 We're planning a first ever trip to Savannah, Tybee Island and Charleston and I've been looking for wonderful posts like this!! If you have suggestions for Tybee Island or Charleston, I'd love to read about them. Thanks for sharing your ideas, recipes and travels with us! I love your blog!! Great post! You guys do more 24 hours than most do in 3 or 4 days. I haven't been in a while but that rooftop bar at sunset looks like a must do. 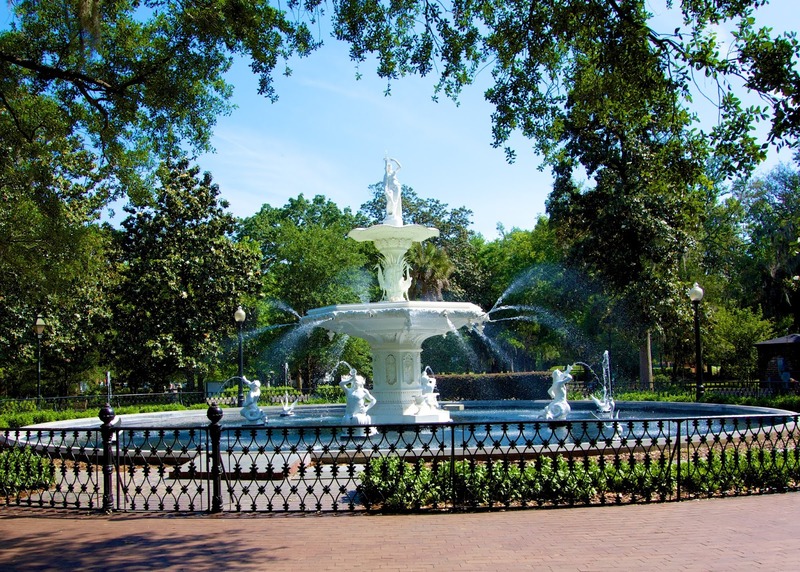 We loved Savannah in the late '80s. The book came out and by '96 it wasn't Georgia's best kept secret anymore. Kind of sad to see how many properties that the locals had restored and started business only to be priced out by tax hikes, many rich Yankee's moved in and scarfed them up. It's not the same but it's still wonderful as your post shows. Try the Express Cafe on Barnard street between Congress and Broughton. We followed locals in one Sunday morning and have been returning for 25 years. Wonderful coffee, everything fresh baked, wonderful breakfast items served all day, an incredible custardy bread pudding. 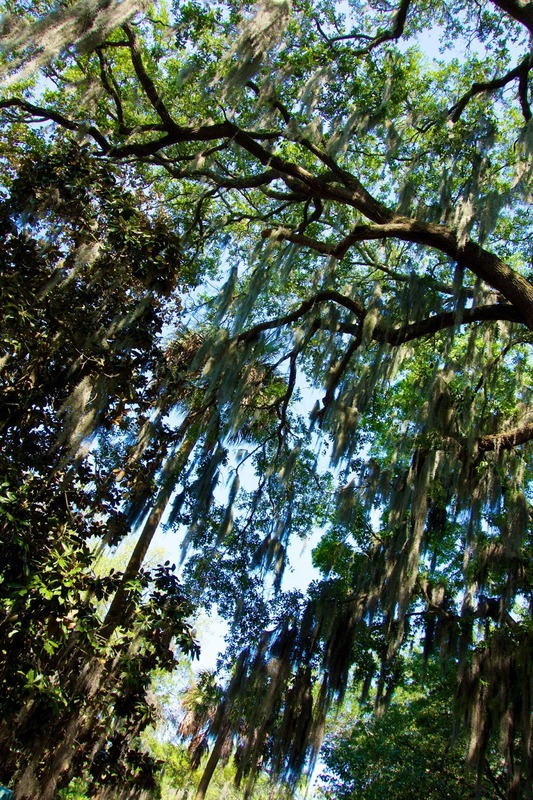 Savannah is the one place I've always wanted to visit, but things have never worked out for us to go. I'm pinning this in case we ever get to make the trip! Thanks for sharing your awesome pictures. I was just in Savannah two weeks ago and went to many of the same spots. Definitely wanted to hit Vinnie Van Go Go's but the wait was so long. Did love The Olde Pink House, service and food were stellar. 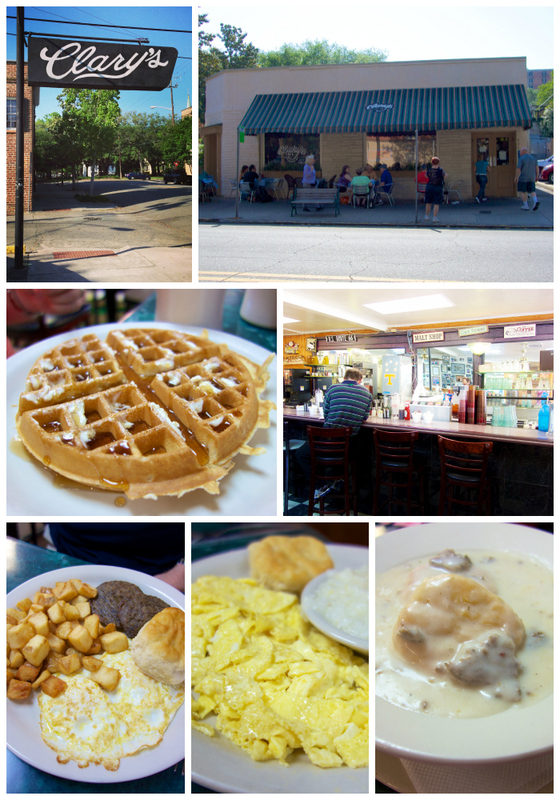 Also The Lady and Sons (best fried chicken ever), Fiddler's Crab House on River St., Goosefeathers Café and Bakery. Did a quick college tour of SCAD for my son who is a junior right now. 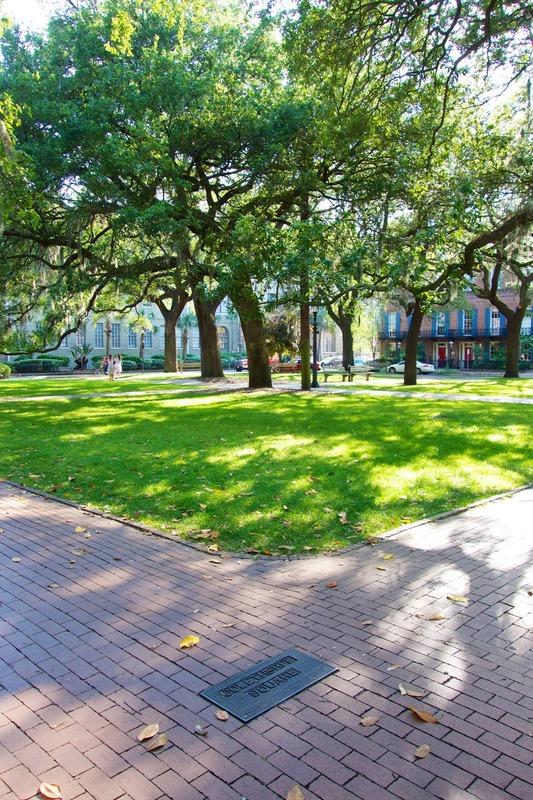 Love Savannah and wouldn't mind living there at all to be closer to my family. Mrs. Wilkes is fabulous! We ate lunch there the day before President Obama ate there and he sat in the same seat that my husband sat in...saw it on the news that evening! Served family style and delicious! I'm going to Savannah for the first time in just a few weeks and I'm so excited. This post came at a perfect time as I'm planning the places I definitely want to stop in for a bite. I'm impressed with how much you got done in just 24 hours! The next time you guys come back, make sure you have dinner at Alligator Soul. It is our favorite place to have date night when we want a really nice dinner. Leoci's and Jazz'd Tapas Bar are also great places to try out, as well. Stacey - you are making me hungry!! Cheese grits are my kryptonite!So delicious! Great post! My parents are actually on their wait to Savannah right now. 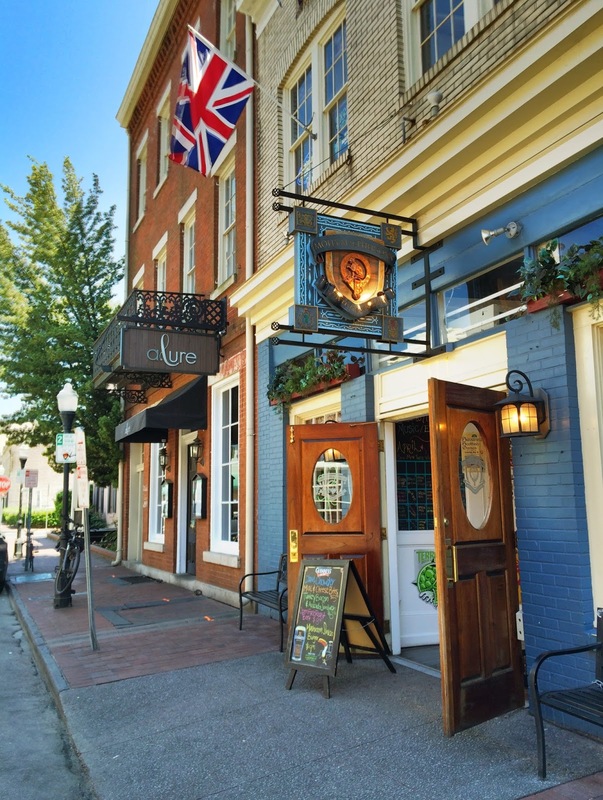 Definitely go to Mrs. Wilkes Boarding House & Churchill's Pub next time you are there. So good! Holy Moly! You did all of that in 24 hours? I want to go back with you when you go! I think we need to have a girls trip with our group and attend one of the cooking classes. 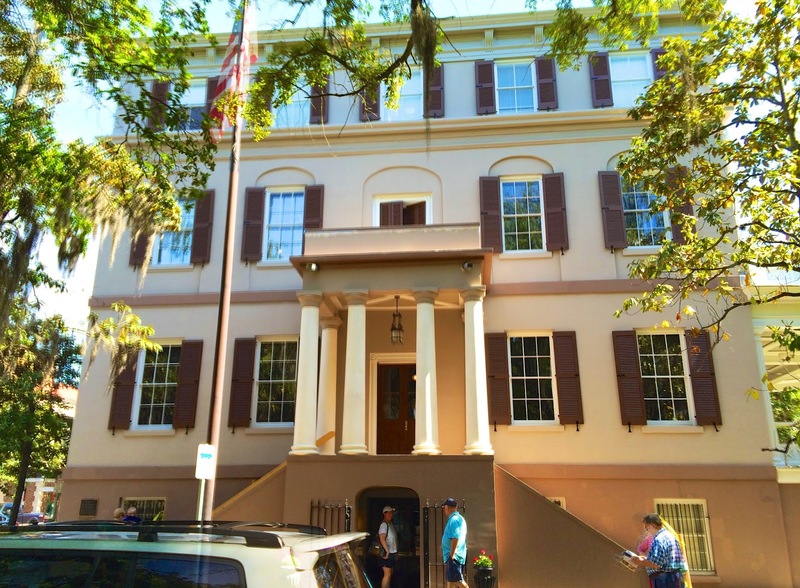 This post will be wonderful to reference on our next trip to Savannah! We've tried maybe half (or less) of what you listed here. Top of my list would include the Olde Pink House and Zunzis. Mrs. Wilkes was good, but difficult to navigate for a shy, introvert like me (family-style seating). I must have missed something at Vinnies because I wasn't impressed. Thinking now I should try again. 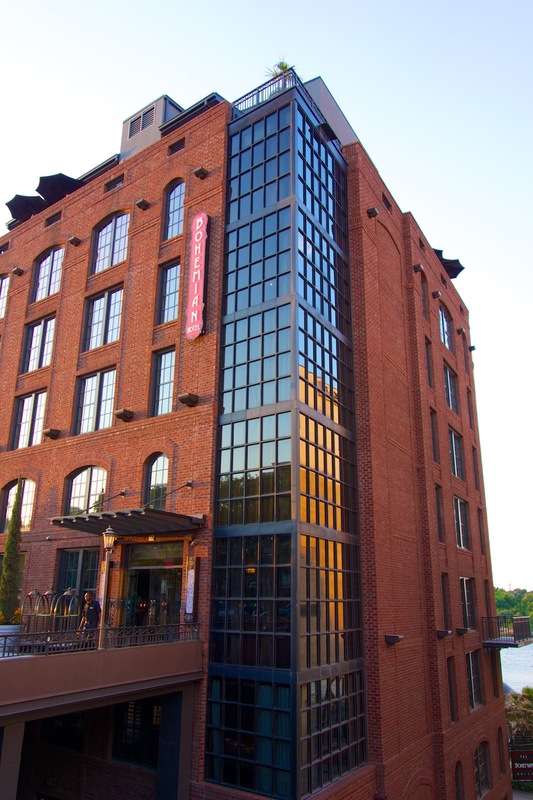 Our biggest recommendation for Savannah is ALWAYS Chef Joe Randall's cooking class. We've done it on both trips and thoroughly enjoyed it both times!